Columbus High School HAL students can participate in academic course work and/or extra-curricular activities. ​Students are encouraged to take accelerated math, accelerated science, and college prep English, dual credit, and Advanced Placement classes. Senior HAL students have an opportunity to take Mentorship, a semester class in which the students have an extended job shadow placement in their career interest area. College classess through Central Community College and Doane are also available. Acadmenic competitions challenge and enrich individual areas of talent. Columbus High Destination Imagination team conducted a food drive to assist needy students and their families. The students developed a skit depicting their fundraising experiences, and earned a second place finish at both regional and state competitions. 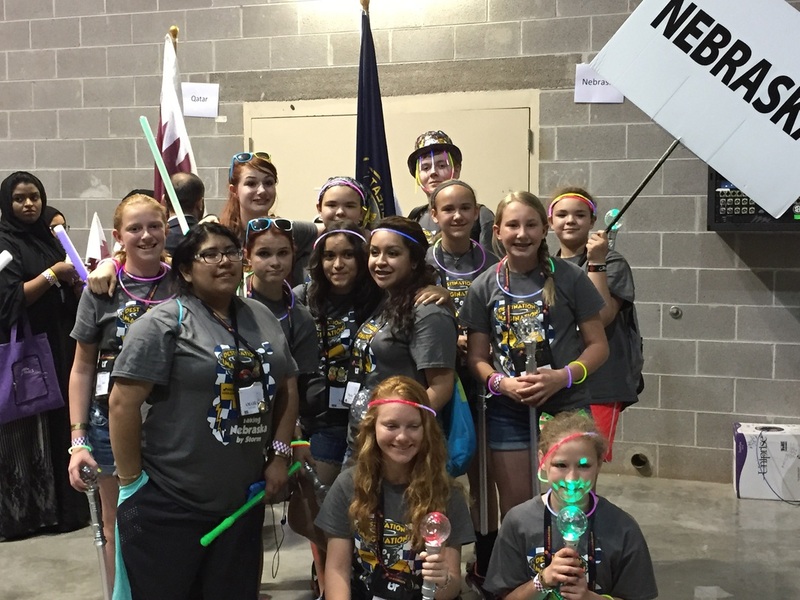 The Destination Imagination Project Outreach team walked in the Parade of Nations/States at DI Global Finals 2015. This CHS Destination Imagination team designed and built the lightest structure possible, using wood, playing cards, glue or adhesive tape. This stucture would support the weight of the pressure board while parts of the structure were removed. 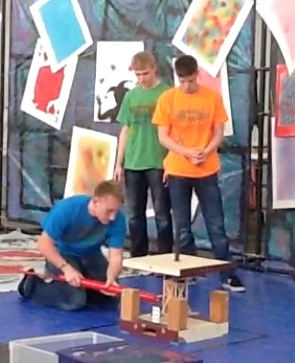 The team also designed and built a removal device that enabled a safe way to remove the structure parts. Students use removal device to remove structure parts.